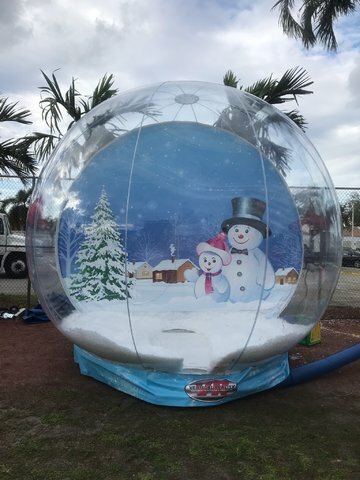 Our Snow Globe is a great piece for Holiday Themed Events. Hop inside and take fun pictures. There are many kinds of Snow Globes on the market. Ours is different because its not totally inflatable. The bottom is an actual stage that many people can stand on without sinking down like most Inflatable Snow Globes. Our Snow Globe also features snow blowing around you as you take amazing pictures.